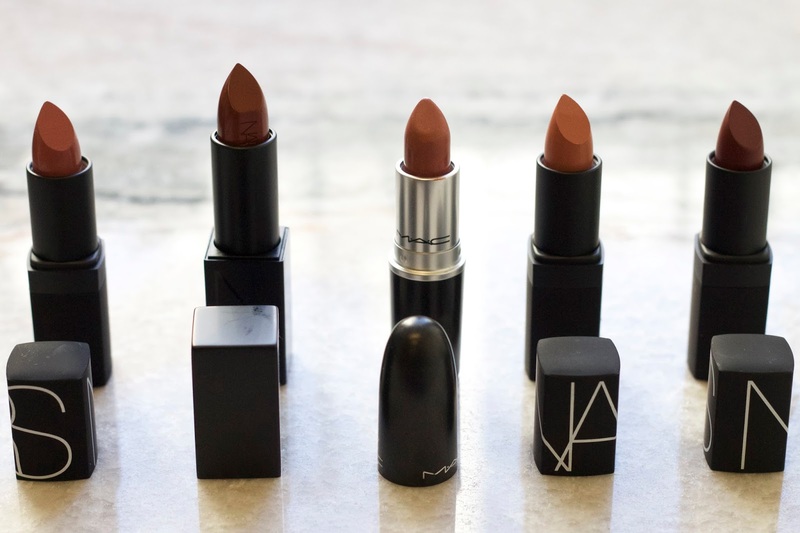 This fall I am loving brown toned matte lipsticks. This trend will definitely continue into spring with lighter beige brown shades so naturally I'm stalking up now. 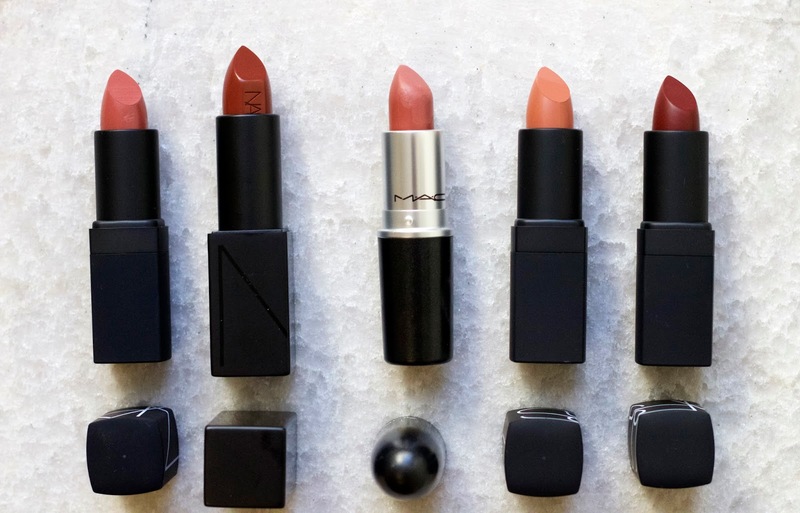 As you can see above, my favorite lipstick brands right now are NARS and MAC. 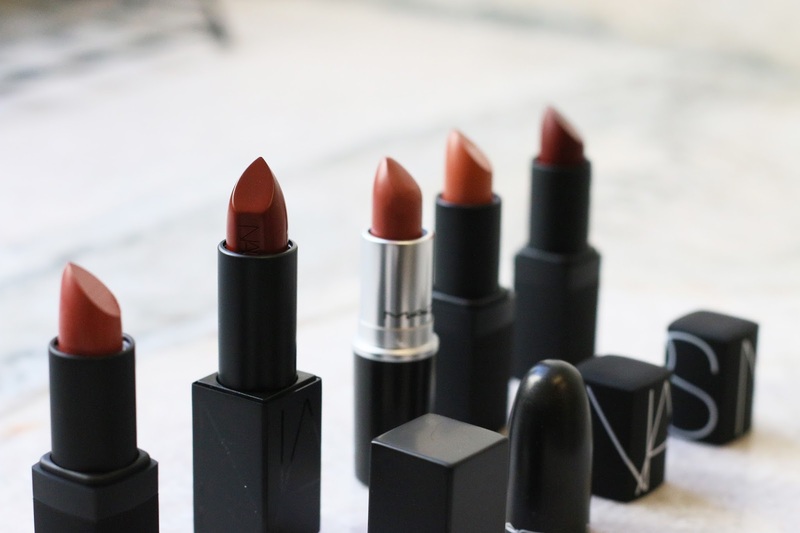 Both brands seems to have perfected the matte lipstick formula, which for me is somewhere in between creamy and matte. See my colors below-from left to right.